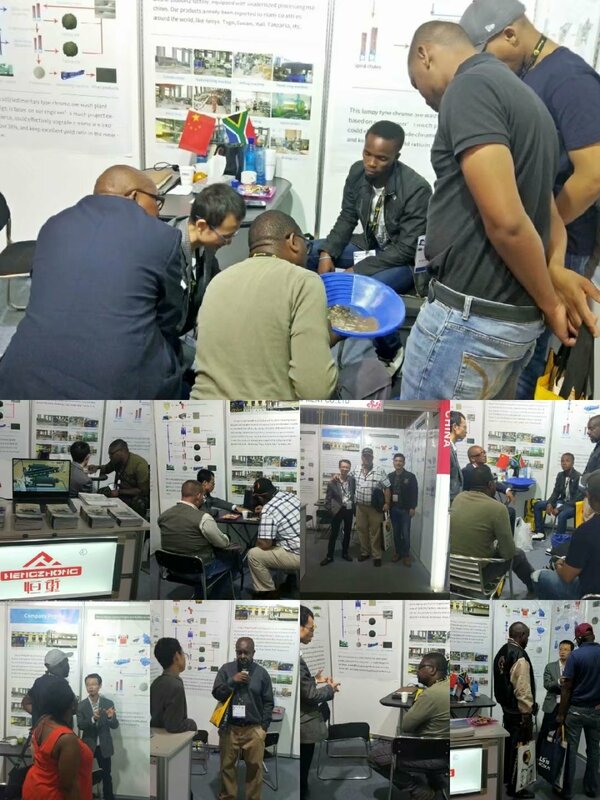 ﻿ South African Mining Fair held in nasres, Johannesburg|Jiangxi Hengcheng Mining Equipment Co., Ltd. The grand South African Mining Fair was held in nasres, Johannesburg on September 10, 2018. Customers who come from the scene come in an endless stream! The Hengcheng Mining Equipment is aimed at gold, chromium, manganese and titanium ore in the South African market. More and more customers form Zimbabwe, Nigeria, Zambia, Malawi and other places come to our exhibition booth having discussion about mineral ore processing technology !